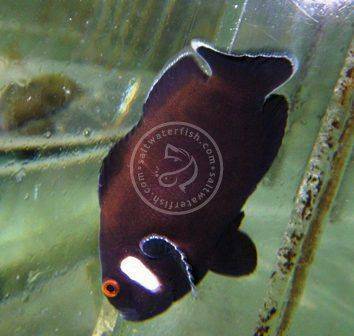 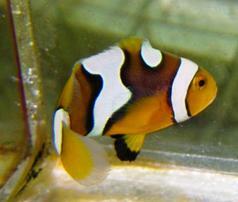 The Domnio Clownfish is a variant of the species Amphiprion ocellaris. 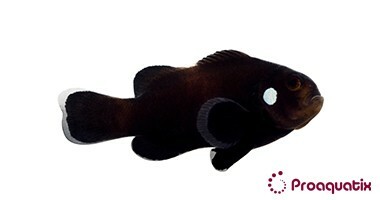 Their characteristic marking is a white dot over a midnight black body. 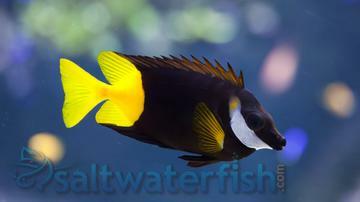 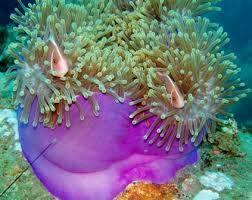 The Domino Clownfish is peaceful, will eat a varied omnivorous diet, and will happily pair with an anemone host.